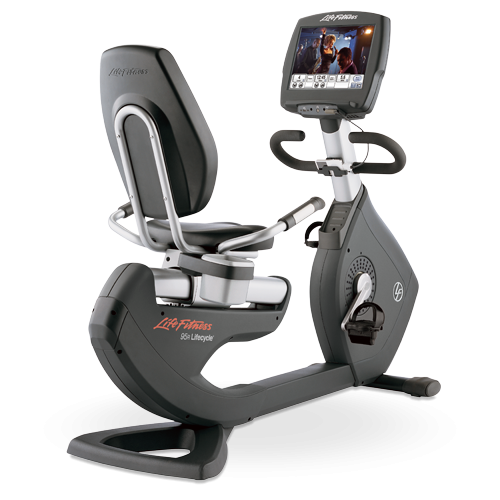 The Life Fitness 95Re Recumbent Exercise Bike is the best-selling, fully-featured recumbent Life cycle exercise bike! 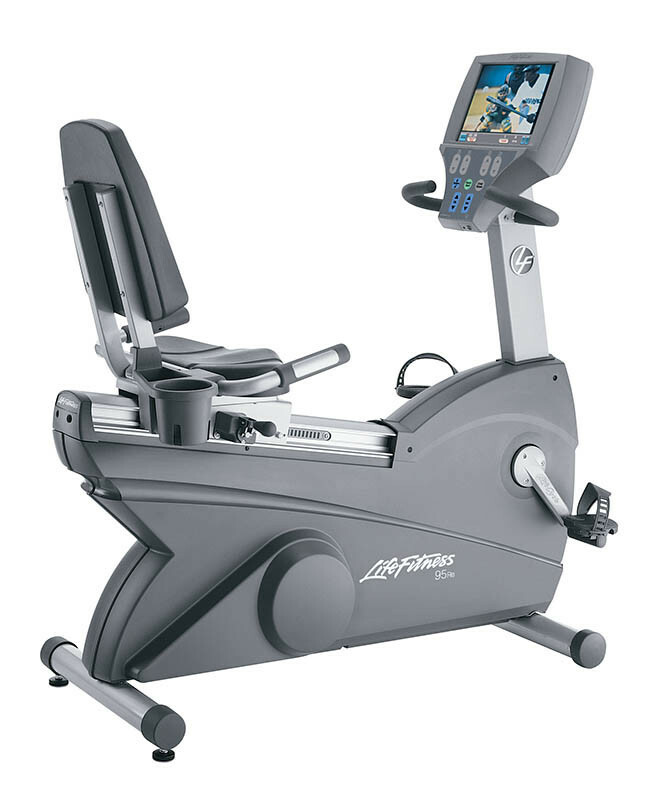 The Life Fitness 95Re provides a comfortable ride in up to 29 different program modes all controlled by its E³ Integrated LCD™ System with Touch Screen Technology control panel. Specifically, the 95Re has a specially contoured back support and seat – plus offers pedal adjustments in 11 different positions. 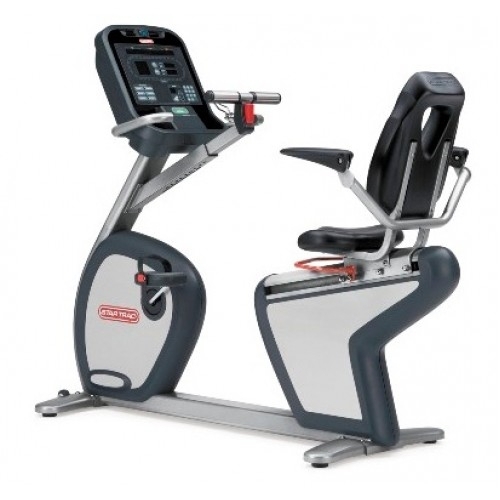 For further support, the Life Fitness 95Re has front and side handlebars, the seat is injection-molded for extra comfort, and the handlebars are graspable molded rubber. 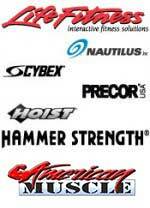 Choose between 29 different programs including 5 Zone Training+ Heart Rate workouts, Air Force PRT and Fit Test protocols, and 6 customizable workouts, and chart your progress on an easily-readable alphanumeric LED Console. 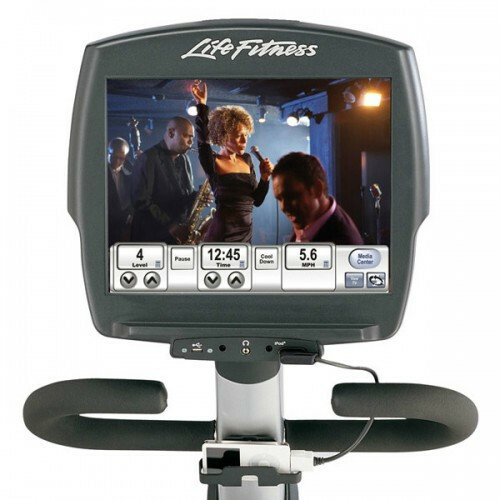 This console allows exercisers to watch their favorite TV show while monitoring their workout. Built-in dual-location, digital heart rate hand sensors automatically control resistance levels to keep users in their target heart rate zone. The Life Fitness 95Re belt drive ensures a quiet exercise experience, and on-the-fly programming means no stopping in the middle of a workout. The ratchet-style seat adjusts smoothly in ½” increments: no fumbling for the right peg-hole. At only 134 lbs, with front wheels for easy mobility, you can maneuver the 95Re just about anywhere, and being self-powered, there are no cords and no inconvenience.